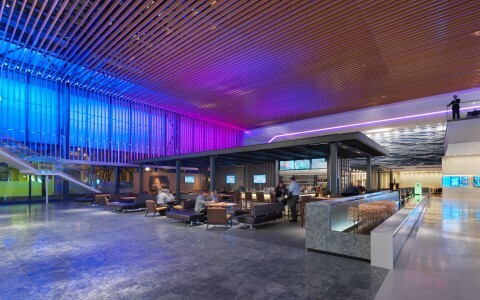 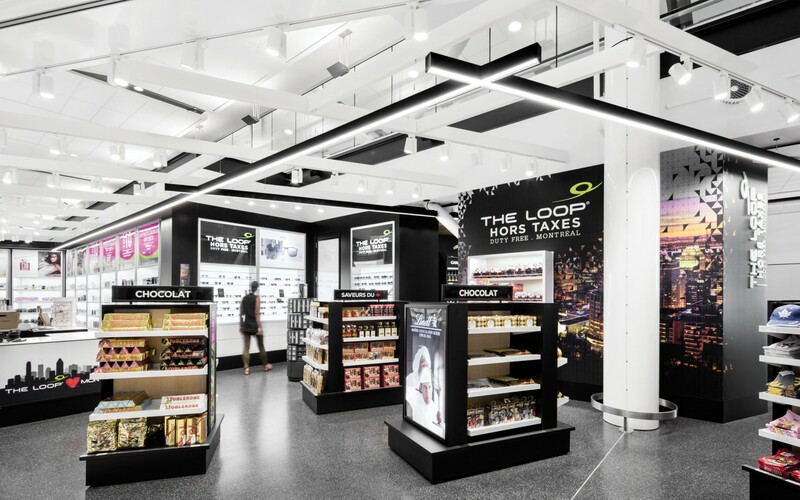 Project Management: AerRianta International (North America) Inc.
A major North American travel hub uses Lumenpulse luminaires to create a memorable retail experience. 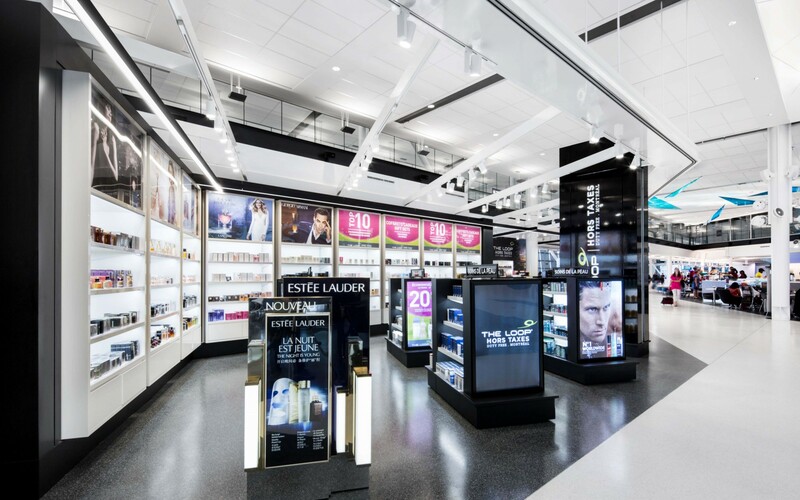 The gleaming shops that make up the Pierre Elliott International Airport's Duty-Free area known as "The Loop" are aglow due to recent renovations and the use of Lumenpulse luminaires. 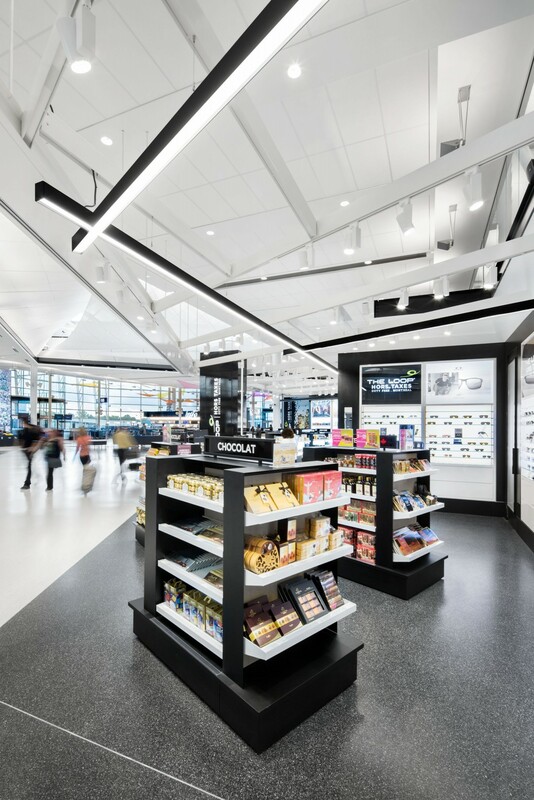 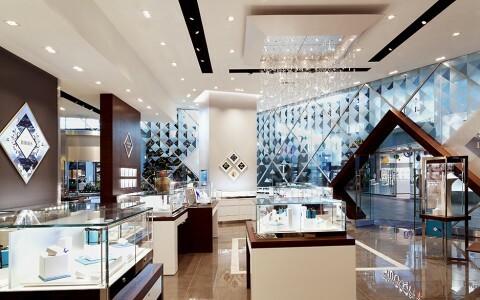 The architect firm of PROVENCHER_ROY has created a lighting design that is specific to each duty-free shop while also allowing the shops to differentiate themselves from the surrounding airport environment. 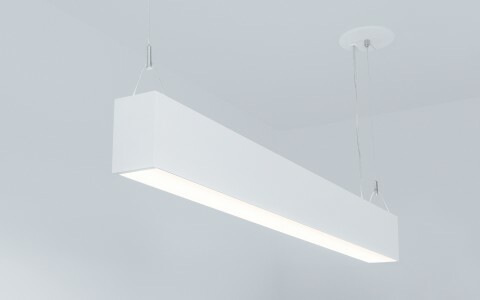 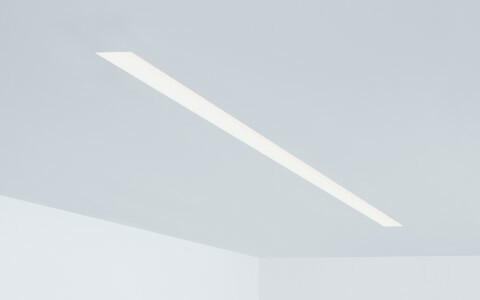 The lighting design constitutes the use of strong architectural elements. 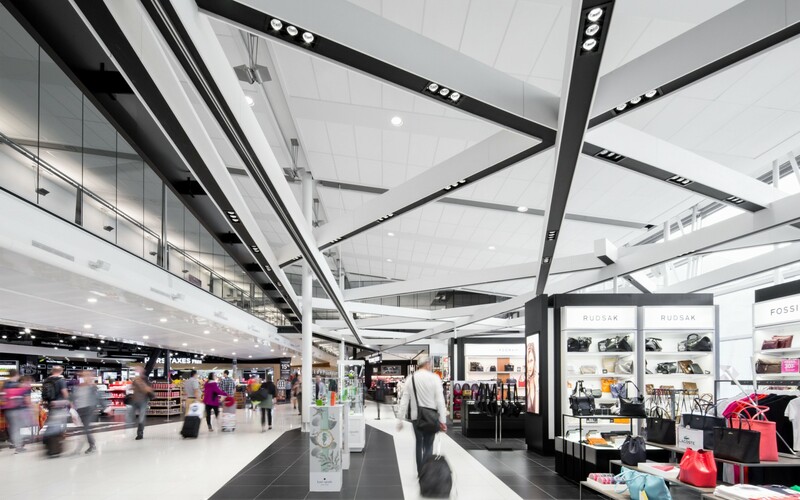 The aerial grid of the Lumenline luminaires and the downlights luminaires, which are mounted in overhead beams, reduces the massive height of the terminal, bringing the area to a more a human-like scale. 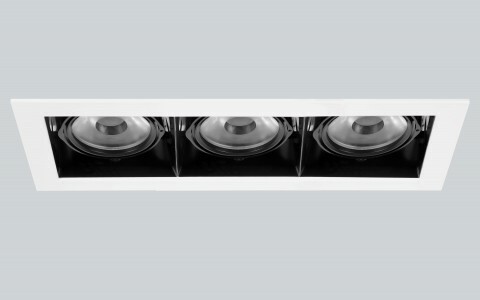 These axis of lights were developed as directional elements to capture the attention of passengers and help to move circulate into the shops. 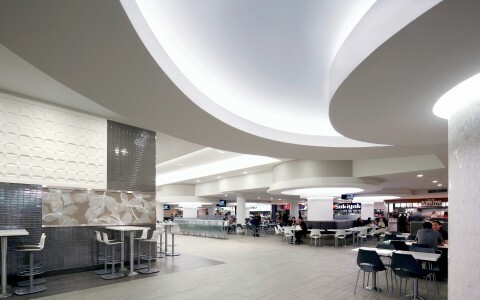 The colour temperature (3500K) of all luminaires was easily matched to the temperature of other fixtures throughout the terminal. 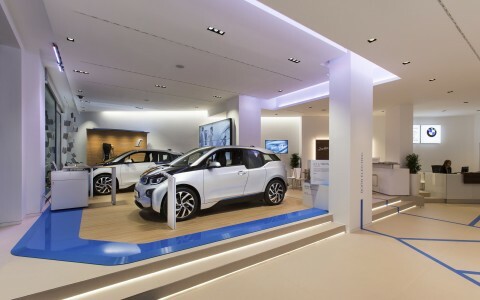 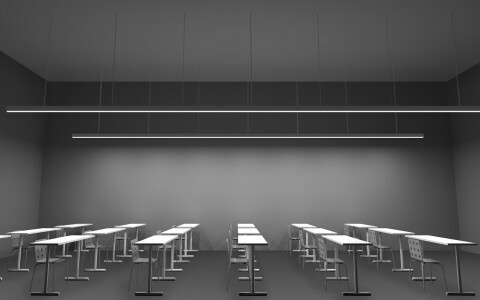 Different optics were used, depending on the luminaires' task; the Multi3 spotlight retail displays, the Lumenline fixtures offer general lighting. 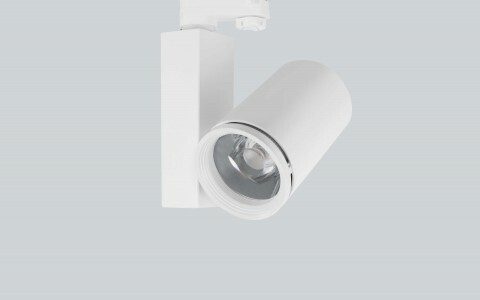 while the Lumencove fixtures graze display backdrops. 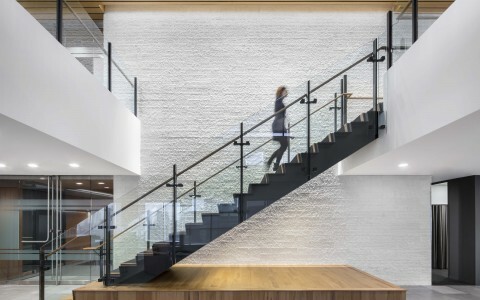 The scalable families of each product have ensured a visual consistency across all applications, the various shops complement each other while still possessing their own singularity. 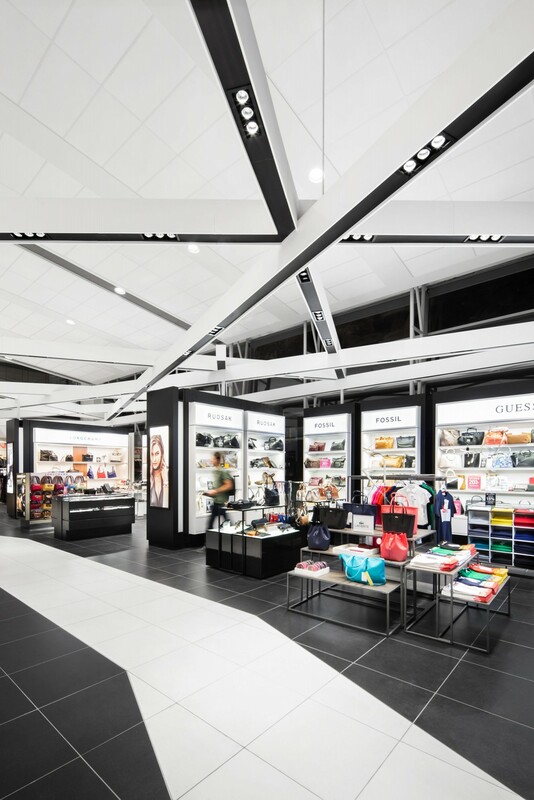 Thanks to the design and luminaires used, customers of the Duty-Free area now enjoy a more accessible and distinct shopping experience.